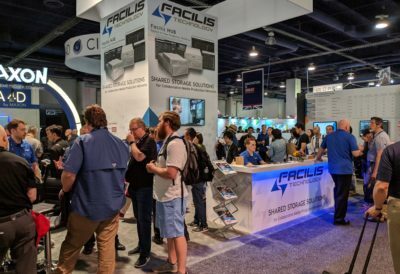 Facilis hosts thousands of people at events around the world each year. We look forward to meeting both new and existing customers, showing off our latest features and solutions, and getting to know your specific storage workflow needs. We're at all the major industry shows, so stop by and speak to one of our Team members. Join us at our next global trade show or local event. See below for more information.